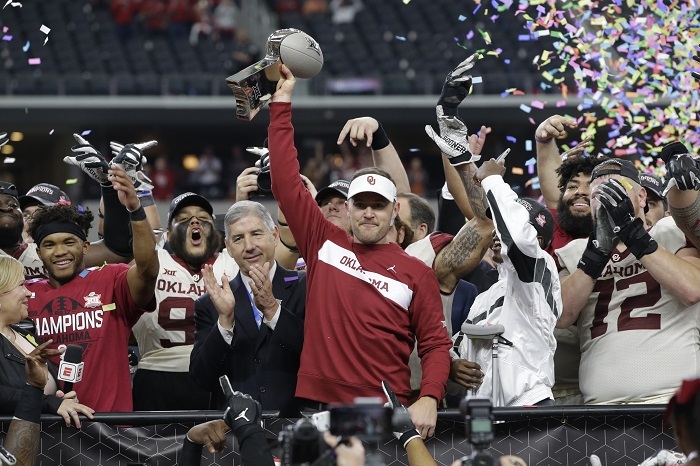 Earlier this week, Lincoln Riley signed an extension with the Oklahoma Sooners to make him one of the highest-paid coaches in the country. 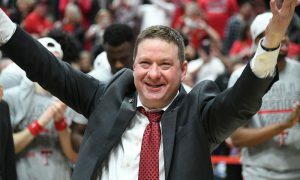 His $6 million base salary is tied with Dan Mullen at Florida for eighth in the nation and is $500,000 more than Tom Herman to become the highest-paid coach in the Big 12. It’s certainly warranted considering the success Riley has had as a head coach in his two seasons since taking over from Bob Stoops. 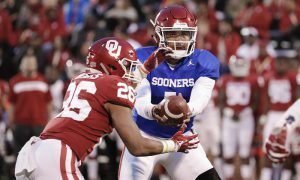 Riley has helped two different quarterbacks win Heisman Trophies, has won the Big 12 both seasons, while also reaching the College Football Playoff. 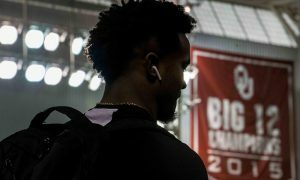 On top of the $6 million, he will receive an annual $700,000 stay bonus for each year he remains with the Sooners, in addition to $150,000 in annual bumps, through the 2023 season. 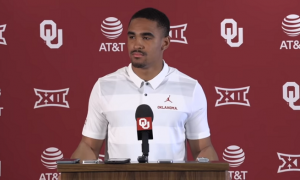 OU will also pay Riley an extra $1 million if he stays at Oklahoma past April 1, 2021 and he can earn up to $750,000 annually in performance bonuses. 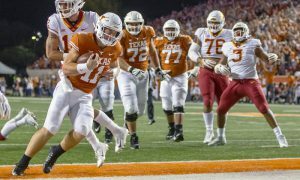 While much has been made of Riley potentially taking his talents to the NFL, with rumors of the Dallas Cowboys and Cleveland Browns floating for much of the past few months, this contract extension is another sign that it remains highly unlikely any time soon. Riley’s $6 million base salary would currently make him the seventh-highest paid coach in the NFL. Those making more include Pete Carroll, Sean Payton, Bill Bellichick, Andy Reid, John Harbaugh and Mike Tomlin. 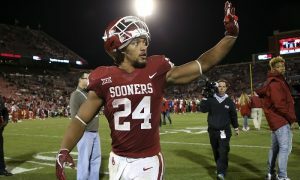 Those highest paid of the group, Carroll and Payton, each make $8 million, which Riley can come awfully close to, if not surpass that number, if he has an excellent year in Norman. 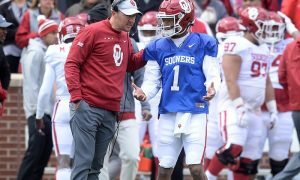 Why give up what he has going with OU? He’s recruiting better than Bob Stoops did. He’s finally got “his” choice of a defensive coordinator in Alex Grinch. He has job security for many years to come, which is invaluable as a young guy with a family. Why give that all up to go coach in the NFL, where nearly 1/3 of the head coaches seemingly turn over on a year-to-year basis? In fact, when you look at the highest-paid college coaches, it becomes even more clear it’s going to be tougher than ever for any NFL team to try and pry them away from the college ranks. The money is inconsequential. I don’t want to judge, since writing and owning this blog isn’t paying millions of dollars (at least not yet!! ), but does one’s life drastically change on a salary bump of $5 million to $6 or $7 million? I find it highly unlikely. So if there is job security, a similar paycheck, a family-friendly college town, with plenty of national exposure, what’s the allure? Maybe it’s proving your craft on the biggest stage? But most of the big-time college coaches grew up in the college ranks. It’s rare that any of them have ties to the NFL or an allure of coaching in the NFL. So while the NFL is in many ways desperate to get the sharpest minds from college to their ranks, it’s not likely to happen. Hence why a guy like Kliff Kingsbury, who had a sub-.500 record at Texas Tech, is getting his chance with the Arizona Cardinals. It’s also why Matt Rhule, who has had a nice college career, but far from spectacular, gets so many looks. You think the Cardinals would have preferred Lincoln Riley? Of course. But the incentive isn’t there for the successful college coaches. Until that changes, don’t expect to see it happening on any kind of consistent basis anytime soon.